ovens, hobs, grills and extractor fans. Please complete the form and we'll get back to you with a quote! We offer high quality, reliable oven cleaning at an indistrial standard. Over time, ovens build up layers of grease and carbon which affects not only the performance of your oven but can also be unhygenic. We save you time and give you peace of mind, knowing that your oven is both clean and serviced. In approximately 2 – 3 hours we will deep clean your oven, hob, extractor fan to a standard that you won’t have seen since your appliance was new. 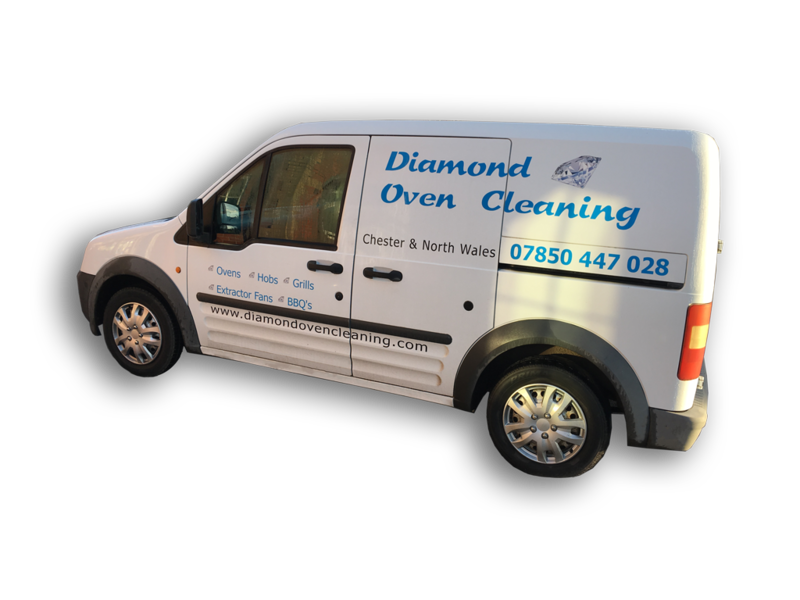 We will dismantle your oven so all the removable parts can be put into our specially designed heated dip-tank in the rear of our vehicle. We provide a professional service to integrated/built-in ovens both single and double. You can view our prices here. We provide a cleaning service to AGA, Range Master Styles (90,100,110), Extra Wide Cookers and more. See our full list on our pricing table here. We provide an extractor fan cleaning service & Hob Rings cleaning service to help things clean in your kitchen. You can view our prices here. Check out some of our recent cleans below! Want to become a self-employed professional oven cleaner? We offer 'on the job' professional traning services, providing you with everything you need to become your very own boss. For more information please click the button below.